The Yu-Gi-Oh! The Dark Side of Dimensions Card Sleeves let Duelists set the stage for the New Year with a brand-new set of glossy, premium quality tournament legal sleeves! 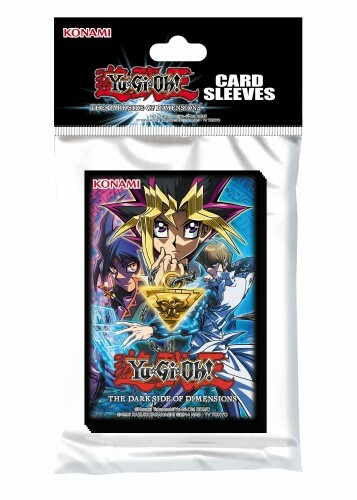 Each sleeve features the iconic artwork of the latest Yu-Gi-Oh! feature-length film starring legendary Duelists Yugi and Kaiba, seemingly poised to keep your cards protected for hours of Dueling at a time.